Freedom Forum organized a discussion program on present legal status of the murdered and forcefully disappeared journalists from the year 1996 to 2016 in Kathmandu on 20 November 2016. It was organized under the project “Support to enable environment for Freedom of expression in Nepal (SEFEN)- No News Is Bad News” funded by Free Press Unlimited on the occasion of the International Day to End Impunity for Crimes against Journalists 2016. 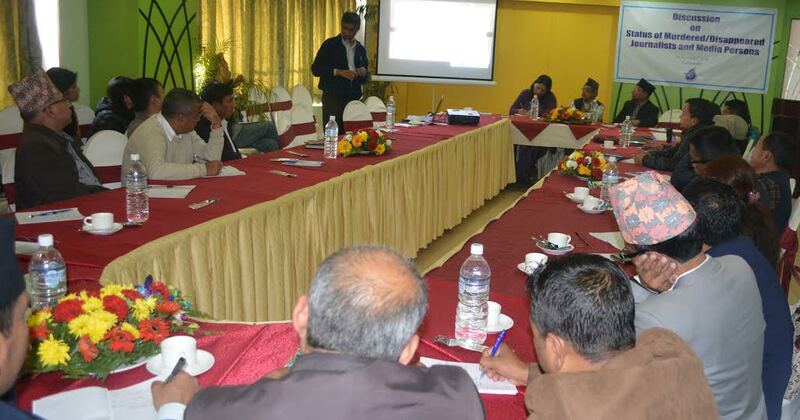 The program discussed on the study report prepared by Freedom Forum’s Chief Executive Taranath Dahal and General Secretary Dharmendra Jha, which underscored that Nepali media fared worst in the recent two decades owing to the unabated impunity. 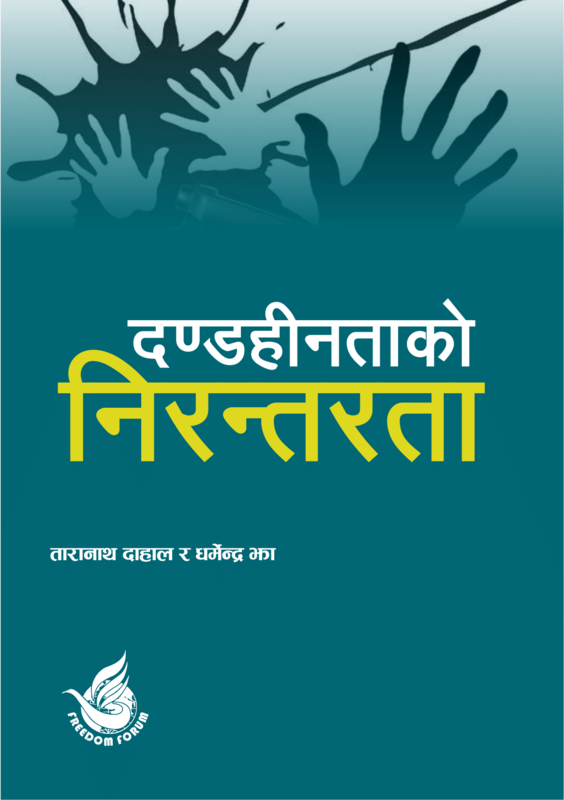 Unveiling the study report prepared by Freedom Forum, General Secretary Jha said as the people involved in the crimes (murder and enforced disappearance) against journalists were not brought to book, the impunity was inflicting the Nepali media. During the study focused in the period from 1996 to 2016, 23 journalists (including media persons) were murdered from different sides while three had gone missing. It was 1996 when Nepal began to witness the armed revolution that lasted in 2006. Among 26 incidents, more than two thirds were not investigated. Political pressure and the threat from the oppressors are main reasons behind barring the victims to file case against the attackers, claimed the report. Local courts have made decisions on four cases while two are still under consideration. The report further stated that the government, despite forming investigation committee, did not make public the report on the murder of JP Joshi (Kailali), and Chairman of Channel Nepal TV and Space Time Network, Jamim Shah. During the study period, the State involved in the murder of seven journalists, while the rebel side in the rest of the crimes. It has been a decade that government and then rebellion force CPN (Maoist) inked the Comprehensive Peace Accord which became a reason for the State authorities to avoid the investigation and litigation on the crimes against journalists, as it was mentioned in the CPA that any incident of political nature could be handled by separate entity- truth and reconciliation commission, and the commission on investigation of enforced disappeared person (CIEDP). During the programme, CIEDP Chairman, Lokendra Mallik, appreciated Freedom Forum’s study, saying it would help investigation activities at CIEDP. He, however, said the CIEDP was in need of laws for its full functioning. Similarly, Member of the Truth and Reconciliation Commission, Madhavi Bhatt, said the Commission was yet to begin investigation, and the study would be very useful in the investigation. Chairman of the Federation of Nepali Journalists Dr Mahendra Bista informed that FNJ has given information on the crimes against journalist to both CIEDP and TRC for the investigation, and hoped that commissions would bring facts on the incidents. Deputy Attorney General Sanjib Regmi however said the court had delivered decisions on the litigation brought to the court. He urged all to bring the cases in the court. DSP at the Crime Division of Nepal Police Deepak Regmi said as there was no separate law on disappearance in Nepal, it could slow the investigation. However, Nepal Police is committed to investigation, the official added. Media educator Kundan Aryal opined that time has come for both the government and the rebellion side to bring forth clear views on the crimes they perpetrated against the journalists. Advocate Santosh Sigdel said critical analysis on cases before and after conflict is necessary so that TRC and CIEDP could identify the cases within their policies. According to him, FNJ should advocate and cooperate concerned authorities to find out the proofs. Similarly, TRC and CIEDP should verify the pattern of the impact of conflict on media to ensure press Freedom. Senior journalist Kapil Kafle lauded the study report, saying it could help tremendously to the two commissions on transitional justice. 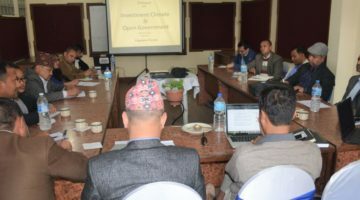 The program had the participation of 45 participants from diverse sectors: Nepal Police, Armed Police, Legal Authorities (Court, Attorney Office), representatives from Truth and Reconciliation Commission (TRC) and from Disappearance Commission (DC), representatives from Nepal Press Council, academia, and freelance journalists and researchers. Chief Executive Dahal and Chairperson Hari Binod Adhikari concluded the program saying all the recommendations would be critically analyzed in the next research and the report would be duly revised accordingly. Mr Dahal also assured that organization would coordinate and cooperate with state agencies like TRC and CIEDP for further investigation on the murder and disappeared journalists. The program was presided over by FF Chairperson Hari Binod Adhikari.